If you have Instagram or Snapchat, you know how powerful and popular stories have become. With a 24-hour expiration and an entire screen to work with, stories allow you to share temporary content with more creative freedom than what a curated feed offers. With Unfold, you can create beautiful and engaging stories by choosing from a collection of 25 minimal, elegant, easy-to-use print-media inspired templates designed to bring your stories to life. 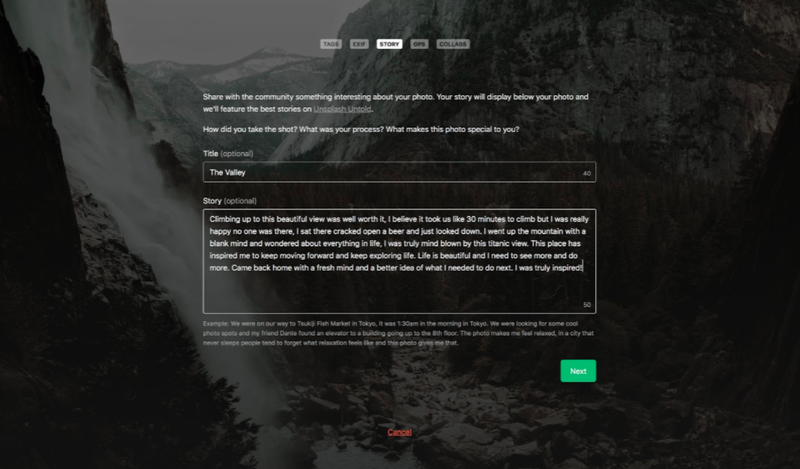 You can easily drag and drop photos or text into the templates to better tell your stories. Personally, Unfold has been a godsend and an app I’ve greatly appreciated as a photographer. As someone who used to hack together stories using multiple apps, it was always challenging for me to create consistency. Unfold’s all-in-one templates, though, have made designing stories so much easier and more enjoyable. This is why I’m so excited to share that you can now easily add Unsplash photos to your Unfold templates. When selecting a photo, you now have the option to choose from your personal photo gallery or the Unsplash library, giving you an endless stream of creative options. 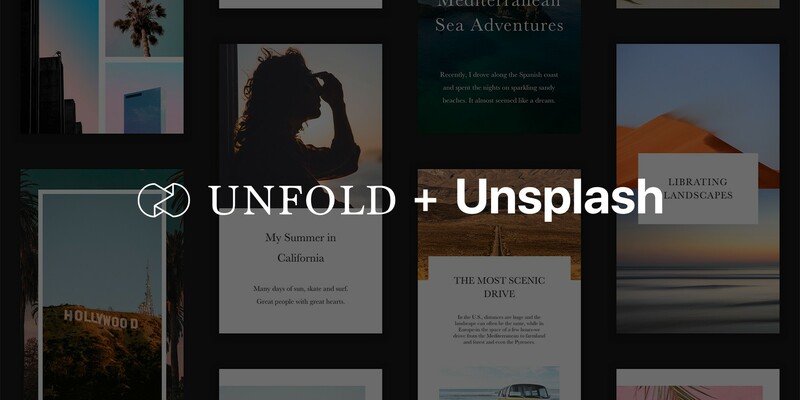 Take your big announcements, inspiring mood boards, moving poetry, and beautiful typography to the next level by incorporating Unsplash photos in your Unfold templates to really make your stories pop. While searching for a photo, the photo credit also links back to the photographer’s Unsplash profile, allowing you to see other work contributed by the photographer. To celebrate this new partnership, we’ve decided to collaborate with Unfold to curate a special collection of photos inspired by your memories and experiences. You can submit photos that visually share stories that last forever. It can be an awesome trip you took, a special moment you shared with a family member or a time you laughed until your sides hurt with friends. Anything that captures a story you will never forget. Check off the “Unfold” option during the Collabs section of the submission process. All photos must be submitted by August 9th, 2018 at 11:59pm EST. After your photo is submitted to Unsplash, it will be reviewed for approval by the Unsplash Editorial team, based on the guidelines above. The photos that are approved will show up on the Unfold profile page once the submission period is complete. Unfold, with the help of the Unsplash Editorial team, will select 10 featured photos from that collection. Featured on Unfold’s Instagram, Facebook and Twitter accounts. More on Unsplash Partnerships. This partnership with Unfold is part of our continued mission to push the impact of photography as far as we can. Community Manager @unsplash @andrewtneel - Support the people that you believe in.